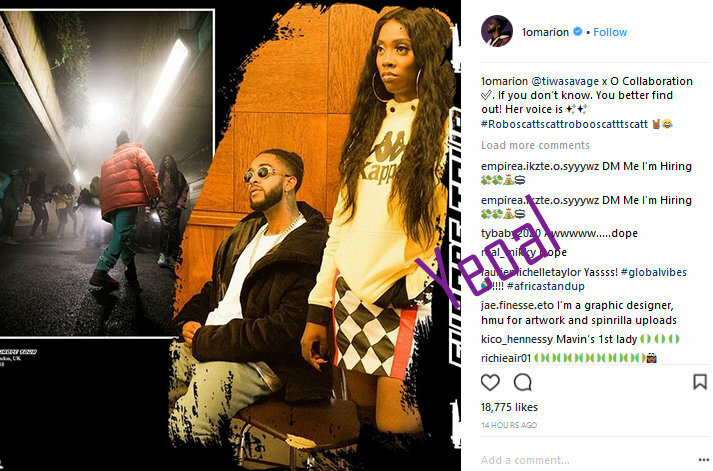 Yeoal's Blogzine™| Nigerian Urban, Gossip and Entertainment Site: Omarion on Tiwa Savage......"Her voice is ✨✨ "
Omarion on Tiwa Savage......"Her voice is ✨✨ "
A few hours after Nigerian singer, Tiwa Savage, shared on Instagram that she would be collaborating with American singer, Omarion on her final video, Omarion also shared the news on his own Instagram page and he has nothing but praise for her. Judging by what he wrote, why do I think it may be the remix to her smash hit with Wizkid "Malo"? Anyhoo, I guess time would tell.